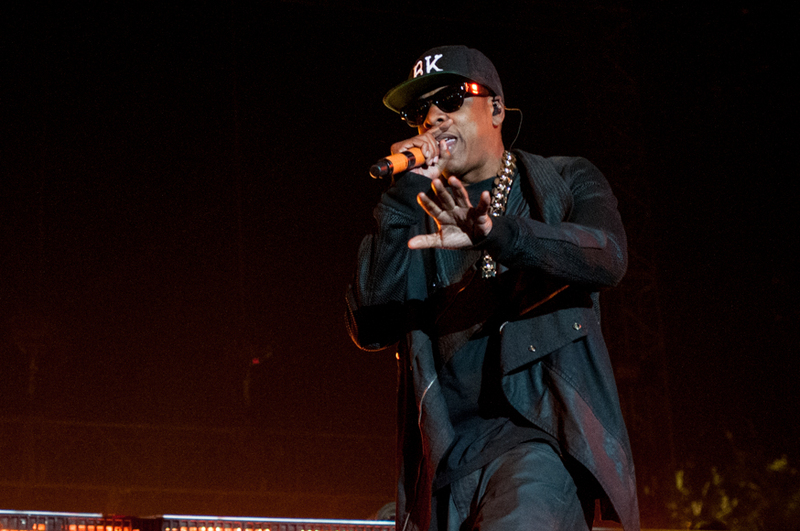 The sixth annual Budweiser Made in America Festival is back with another incredible lineup announcement, which we’re not too surprised about since it was Jay-Z who picked the performers. The lineup this year includes Jay-Z himself, J. Cole, Little Dragon, Solange, Run the Jewels, and the Chainsmokers. Vic Mensa, Migos, and Sampha are some additional artists set to play the festival who you have to add to your must see list. You can check below to see the complete list of the killer artits set to take the stage this Sept. 2 and 3 at the Benjamin Franklin Parkway. 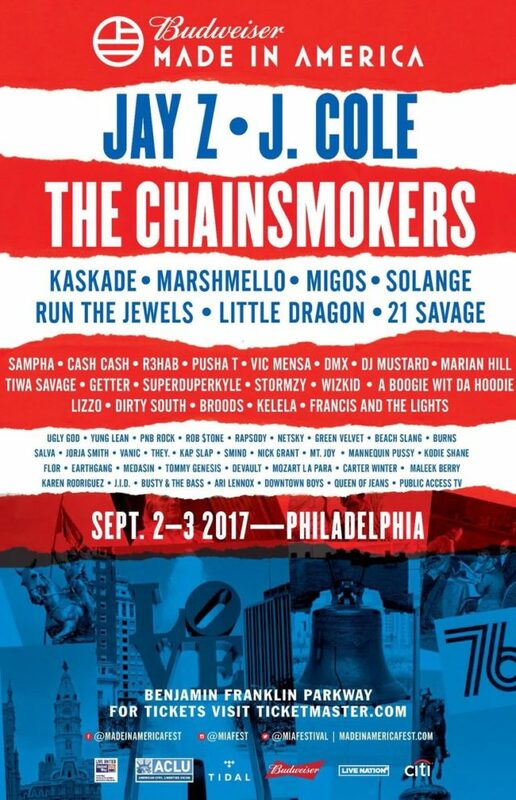 Founded by Hov in 2012, the hip-hop icon and business mogul wanted to fuse various kinds of music genres with culture, in order to provide the ultimate festival experience in the historic city of Philadelphia, PA. At Made in America 2015, the lineup was loaded with fan favorites like Beyoncé, The Weeknd, Bassnectar. The next year looked just as wild, with headliners like Rhianna, Cold Play, DJ Khaled, and Lil Wayne. In 2015 they saw record breaking ticket sales in Philadelphia, selling a whopping 140,000 of them. In that same year they attempted hosting the festival in Los Angeles, but was put on the chopping block for the remaining years since they sold less tickets than expected. Headliner J. Cole’s most recent album 4 Your Eyez Only just went Platinum, his second time doing so with zero features. Before the Made in America Festival, he’ll be on the road for his Summer 2017 tour. You can click here to check out those dates. Little Dragons just released their fifth studio album entitled Season High recently released a music video for one if the tracks called “Celebrate.” The electronic music band will also be touring this summer before the upcoming festival, so click here to see the cities and venues. Tidal pre-sale tickets are avaliable right now on the official Made in America Festival website. While you’re there, you can also reserve a locker for $35 to keep valuables secure while you’re out in the festival. Each one even comes stocked with a universial phone charger.